I have known this Mirage 28 and her owners since she was new. She has been well cared for throughout her life and is in reasonable condition for her age. She is an easy boat to sail and handle. The accommodation comprises of a double berth in the forward cabin with the heads to port and a hanging locker opposite. In the saloon starboard side there is a settee berth and the galley with a large chart table and quarter berth opposite. There is ample space for the family and she is currently in the water ready for your inspection. 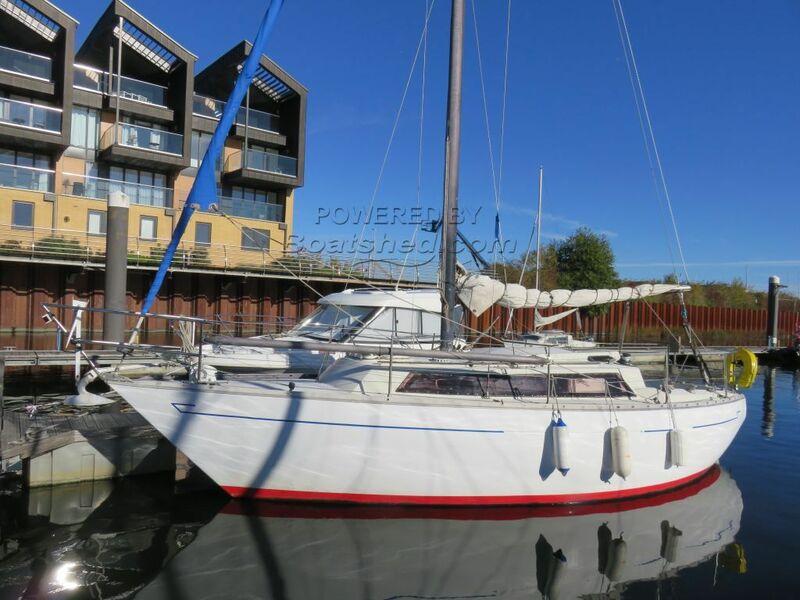 This Mirage 28 has been personally photographed and viewed by Keith on 07968 375172 of Boatshed Wales. Click here for contact details.